Have a Location Available – Need to Find a Location? There is a useful website, set-up by the Welsh Beekeepers Association, that now covers the whole UK. On this site you can either register a site you have available, or look for a site which is available in a n area which interests you. You need to register with the website to use it, and of course you will still need to assess the suitability of anything that is offered. The following notes have been abstracted from an article found on the BBKA website and outline some of the key issues. What are the problems likely to be? It is difficult to give a simple answer because each situation is different, but it is probably worth being positive and investigating all the possibilities before rejecting it. Ask an experienced beekeeper from RBKA to have a look for you. Take their advice and if they are doubtful, then look for an alternative. In general there are fewer problems in rural locations but more care will be needed in built-up areas. 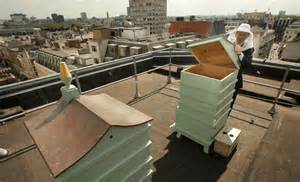 Hives should be sheltered from strong winds so foragers can land easily at the entrance, and hive roofs are not blown off. A hive does not have to face the morning sun, what is more important is that it does not face a direction that will cause a nuisance to others. Avoid frost pockets which may check spring development, or sun-traps where the bees may struggle to ventilate the hive in the summer. Ground near streams and rivers could be damp or flood. Grassland that is dry in summer may become muddy in wet weather. Dense woodland should be avoided but open woodland is often good if there is little undergrowth, allowing free flowing air. The area should be fenced from livestock which may knock hives over. Honey bees usually forage within one or two kilometres of their hive and up to about five kilometres for exceptionally rewarding food sources. In general, virtually anywhere is suitable for a beekeeper with a few colonies as it is rare that an area is so bad that bees can not obtain a reasonable food supply. In general most rural areas will support at least 10-15 colonies in an apiary. 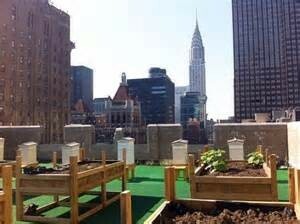 Convenient access will make your beekeeping much more enjoyable. If possible choose a level site with vehicle access and avoid areas with rabbit holes or tree roots. Do not consider a site which entails climbing fences or crossing ditches! Make sure there is room for expansion and allow for at least 50% more colonies than you think you will have. Consider making room for a bait hive to collect stray swarms. It is probably best to find a site, then ask permission from the owner or tenant, rather than simply ask if you can keep bees on their land. That way you have what suits you rather than what you are given. It may be you are refused the location you have asked about, but are offered somewhere else. Have a look at it, but only agree if it is reasonably satisfactory. This will avoid a lot of inconvenience if it is unsuitable and you have to move! An apiary that is hidden from view is less likely to be noticed. Avoid sites that border roads, footpaths and bridleways. Having found a good site make sure you don’t abuse it by leaving gates open, blocking access, leaving it untidy or letting your dog chase animals. Seek permission if you need to cut trees or trim hedges.